Wait, what? You mean I'm not getting cash back at 5000? At 5000 posts your annual forum membership fees are set at $0. At 10,000 posts you get access to the elite "super-posters" sub-forum... which is good, because 'rebs is getting kinda lonely spending all day in there by himself. 'rebs is getting kinda lonely spending all day in there by himself. Actually it's pretty great. Quiet time to myself. I'm already ruing the day when these whippersnappers invade it. In Sports betting, the terms "Over" and "Under" refer to if you wager that the amount of points scored will be over or under the predetermined number. Dumb question time! At the time I post this, Spork has 4572 posts and ARS has 20917. Why does Spork have six boxes under Spork's username but ARS only has five boxes? Are ARS's large, blue boxes worth more than Spork's small, gold boxes? Are the blue boxes a mod thing set at a time when the forum was younger and post counts smaller? If so, what about switching from a small number of blue boxes to a blue mustache? Are ARS's large, blue boxes worth more than Spork's small, gold boxes? Seriously though, those with the all-powerful moderator privileges seem to get blue boxes. The rest of us are stuck with gold ones. Anyone can use the red pen though. Image was used as the opposite method to attachments. So, you misunderstood me, but glad ARS made the correction as others may have thought the same thing. I was a victim of negative posts. When SOMEONE deleted her entire journal, my numbers went backwards. No, no... delete whatever you want. It's like a game of Russian roulette, or the frog going up the well. If someone deletes your posts, you just go down a bit. Makes it exciting, and non-deterministic! What if ARS deletes your user account itself? As far as the colored boxes, I think I saw a setting to tweak those, but I've never bothered. You could always move threads to an unviewable subforum instead of deleting. That's how I got all my boxes. 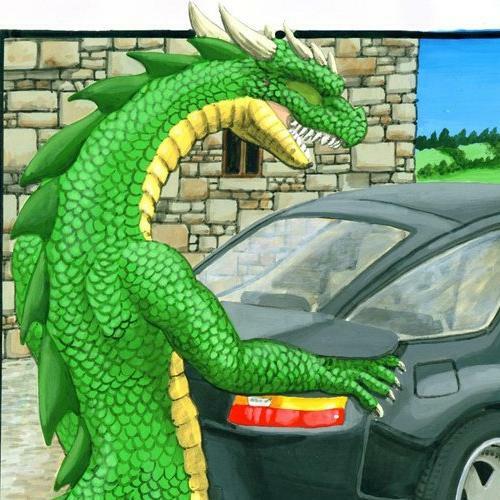 You are both one of my favorite dragons AND my favorite car. Um, sure (fingers crossed, as well as eyes). Thanks Rebs and deborah! The worst part is the inconsistent space between the avatar and actual ones. There, I fixed the space between the avatar and actual ones. All better? Better, but there is still one square out of line -- the horror! no, I have no idea why haha. Since OP started to talk about post numbers, ARS, I never noticed you have over 21000 posts?!! Holy smokes! My hat goes off to you. I know you are a moderator, but still..that's a lot. Post everywhere, all the time, and especially in the same thread over and over again. Or just modify the post count field. I am trying so bloody hard to get to this mythical 5000 and stay in the top 40 posters and Miss M. Jenga just whooshes right past me! You just need to be involved in three or four journals that grow at a rate of a million pages per day. I.... think I'm ok at that. I think. I could go spam it. But... RL! Of course, Observing a Phenomenon Affects Its Outcome so who knows...? nereo leapfrogs and becomes the first one on the list to make it, well "under" even his earliest date. lhamo looks on track to finish in her range, ditto Prospector, who should be there in the next few days. This is such an honor... I'd like to thank yew many mustache and friends all their love and support :sniff: and to posters like moonshadow who kept threads rolling against all probability! I'll be waiting by the mailbox for my certificate! Yo, nereo, I'm really happy for you, I'ma let you finish, but Arebelspy had one of the best thread of all time! One of the best threads of all time! One can imagine the call from the booth: "...and coming up fast from the back of the pack, passing on the outside, it's Bracken Joy pulling away down the stretch...."
now that I have the coveted 'Walrus Stach' it seems like we ought to re-adjust the posting levels again. 10,000 for Walrus, 5,000 for Magnum, and 2,500 for Handlebar? 30,000 needed to become an administrator? Inflation happens everywhere, even the MMM forums! Soon we'll be talking in terms of real post counts versus nominal post counts. "Well, but those were 2013 posts, so they're worth like 2.5 times that now..."
We'll debate how to minimize the impact of post inflation on our personal post budgets, and bicker about the man flooding the forum with posts, devaluing them. The ones with the most likes get a heart. Can you get a heart AND a shield? Sounds like a wargame! Inflation? That sounds like vanity sizing to me! This is an excellent point. I'm never going to be able to retire on just 5000 posts if I can't earn a good return on those posts. I don't even think my current deposits are beating inflation. Does anyone need to borrow some of mine? Maybe someone close to walrus? I'll change a very reasonable interest rate. You'll probably delete them all like Scrubby (who recently deleted her journal again), and then people will be oscillating between walrus and magnum - both are huge. Of course, if the moderators got into the act, they could send you right back to 5 o'clock shadow! 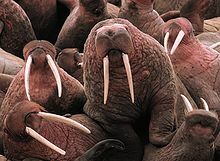 I am resigned to never becoming a walrus, because each time I get close, my numbers go down again. You'll probably delete them all like Scrubby (who recently deleted her journal again), and then people will be oscillating between walrus and magnum - both are huge. If you can't handle the volatility, you have to invest your posts in high-quality AAA rated threads like Overheard at Work, not the high risk/high reward personal journals. Yeah, the AAA threads don't have the same huge growth potential, but they are safe.